Deft, approachable, attentive, curious and smart..
Deft Packet is an innovative eSolution design agency based in Lagos, Nigeria. With passion, we have over the years focused our expertise on creative design and application deployment. Established in 2011 with a commitment to build an independent full-service design agency to clients with the highest standard in the industry, we continually strive towards excellence and timely delivery of our solutions to our clients. With a management guided by industry best practices as well as professionals with a high level of core competency in their respective fields. Our professional, creative and business savvy team knows how to help our clients to become true leaders in their area with our unique, smart and user-friendly website designs as well as ego-free of graphic and brand designs. We pride ourselves as one who’ve built many long-term relationships with our clients along the way. We are absolutely confident about our skills and possibilities, and you are sure to be proud of the website, graphic, and brand designs created by our exceptional team to be one of the valuable assets of your business. To provide qualitative solutions via cutting edge technologies, using a highly skilled, experienced and well motivated work force to meet customers’ needs. When seeking for a professional design agency you need to consider many more aspects than just a pretty portfolio. Deft Packet believe that building a website, designing graphics and branding is not just an art form but must be looked at from a business and strategic viewpoint. Every project has a business objective, and the best design agencies use their business experience to implement designs that can help a small company compete with the big companies. Between the staff at Deft Packet, we have the business, creative and technological experience together with the capacity to deliver results. Our high-caliber web, grahics, illustration and brand designers guarantee that our clients acquire a professional designs that will not only achieve all its business objectives, but surpass your expectations. Another important part of our business design strategy is to achieve a significant return on investment for our clients’ web, graphic and brand projects. Our consultants will make sure that you – our valued client spends your money wisely on projects that will be beneficial, whilst also advising you if an idea or a part of a project is unlikely to generate a return on your investment. We are also proud of the ease our clients have dealing with us as a company. We can hold your hand as much or as little as you need, and always strive to make your own job of managing the website design project easier. Our core strengths lie in our people and their capability to innovate value for customers. We thus drive our innovations with world best technologies and practice. Deft Packet offers a high degree of quality in service delivery; this is a promise to our society. Whether you are looking to expand your business locally or globally, we can design you a bespoke website, brands, and graphics from scratch with all the bells and whistles you need that will allow you meet your e-business objectives by incorporating tools for giving you a personalised identity in digital world; a website with clean and uncluttered look that is easy to navigate and loads quickly, viewable on multiple browsers. We are highly enthusiastic and passionate about the projects we perform, and we believe that a contemplative and goal-oriented team can never fail. Our goal is to provide professional graphics, web design and development solutions as well as Internet Marketing services on time and on budget, using uttermost creativity and innovative approach. We focus on your needs and we are always open to your ideas, passing them through the prism of constructive criticism to guide you step by step towards completed development and promotion. 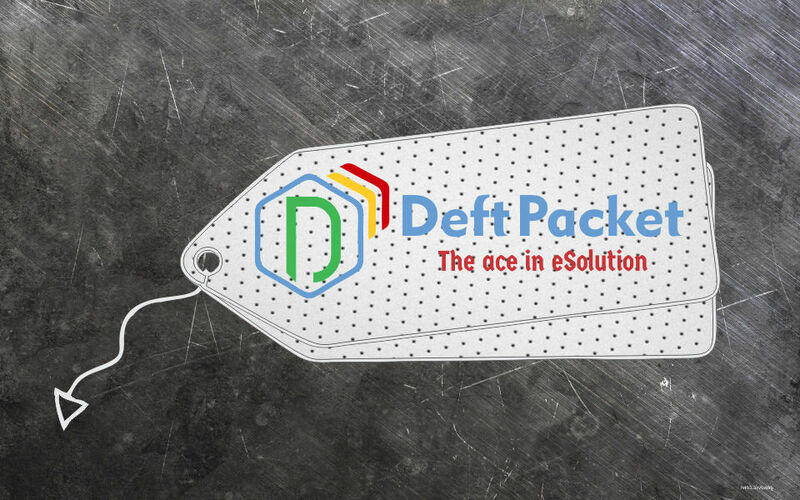 At Deft Packet, we listen and respond to the delight of our customers and this we achieve by not only meeting their requirements but also exceeding them. Our methodology is practical, result-oriented and guided by a strategic understanding of our clients’ business objectives. We provide a 99% customer satisfaction guarantee and will work until you are satisfied. Thank you for considering the Deft Packet experience eSolution services to advance your organisation goals.